Coal showdown reflects government’s floundering shift to renewable power. 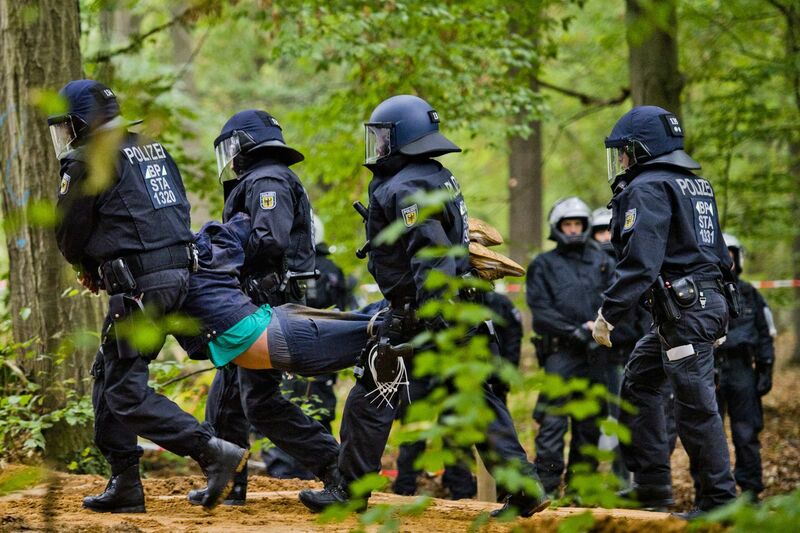 Police remove a protester from Hambach forest. The conflict represents another challenge for Germany’s political establishment as it pits the country’s economic interests against goals of becoming an environmental leader in a 500 billion-euro ($590 billion) shift to renewable power. Those competing agendas are now colliding in and around Hambach — a district known as Rhein-Erft-Kreis — where concerns range from lost jobs and soaring electricity prices to the incessant hum of wind turbines and “electrosmog” from new power lines. The tensions are rooted back in 2000, when Germany put its “Energiewende” in place to overhaul its coal-dominated power infrastructure in favor of sources such as wind, solar and biomass. 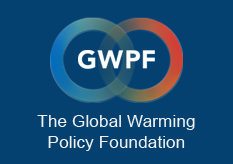 Then in 2007, the government pledged to slash carbon-dioxide emissions 40 percent by 2020 and unveiled a raft of subsidies and regulations to hit those goals. 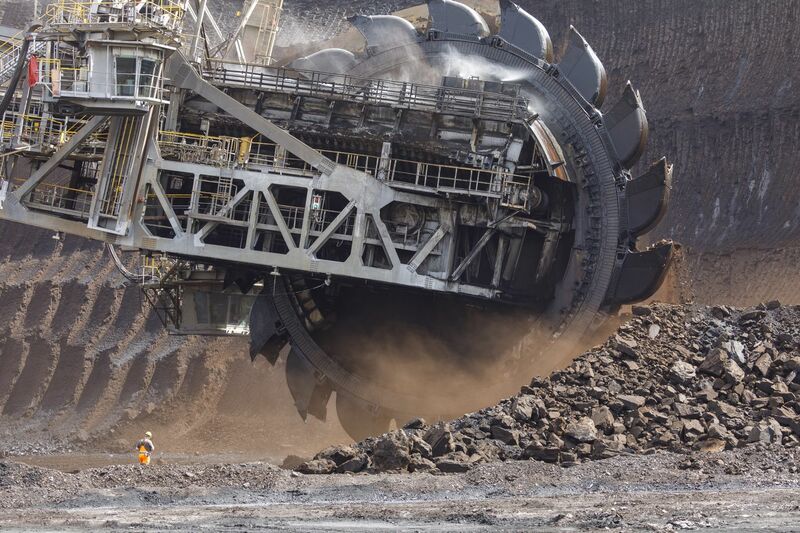 A bucket wheel excavates soil and rocks at the RWE lignite mine. Kippels’ constituency of about half a million people is at the epicenter of the shift. Coal still supports thousands of jobs in the area but is being pushed out to make room for cleaner sources. Towering high-voltage masts are rising as part of a 40 billion-euro ($47 billion) electricity superhighway to transport wind power from the Baltic and North Sea coasts to manufacturing centers in the south. If the government doesn’t show it can carefully balance climate protection with affordable and secure power, “it’s going to be a big challenge keeping voters on board,” said Kippels, 58, during a tour of his district where he’s increasingly struggling to defend the Merkel’s energy policy. In last year’s federal election, support in the district for the populist AfD more than doubled to 9.5 percent, while CDU dropped 8.8 percentage points to 33.5 percent. Backing for the far-right party nationally has since surged and is the second strongest in some recent polls. Upcoming state elections will be the next test, with Bavaria and Hesse voting in October and the lignite centers of Saxony, Brandenburg and Saxony-Anhalt holding ballots in 2019. “Investors are benefiting, but what does it mean for industry and the ordinary man on the street? Nothing but higher energy costs and less security,” said Loose, the far-right party’s local energy expert, adding that the AfD wants to scrap support programs for clean energy. RWE employs about 2,000 people at the Hambach mine on the constituency’s northwestern fringe. With two other lignite pits in the region, the company unearths 90 million tons of the low-grade coal annually to feed three power plants nearby. It has warned of potential outages without the expansion in Hambach, where the existing dig is coming dangerously close to the edge of the woods. “The assumption that the forest can be saved is an illusion,” RWE Chief Executive Officer Rolf Martin Schmitz said on state broadcaster ZDF last week, adding that halting operations at the mine would cost the company as much as 5 billion euros. Germany’s energy shift has left an indelible mark on the country’s utilities, which have hived off fossil-fuel operations. After completing an asset swap with rival EON SE, RWE will become Europe’s third-largest renewable power generator. Still, winding down lignite too quickly could lead to acute electricity shortages, according to the Essen-based company. There is no immediate alternative to the cheap power from coal and lignite. Wind and solar energy can be expensive and need to be augmented by other sources when weather conditions aren’t favorable. Meanwhile, electricity generated from gas turbines risks increasing Germany’s dependence on supplies from Russia.